Felicitari Hristos a inviat! 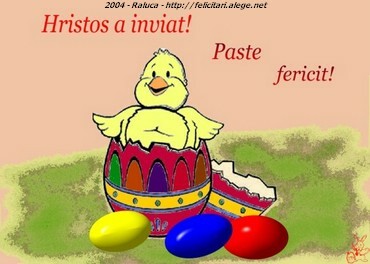 Paste Fericit! Hristos a inviat! Paste Fericit!|Christ is risen! Happy Easter! Felicitari › felicitari Paste › felicitari Hristos a inviat! Paste Fericit! Tag-uri: hristos inviat! paste fericit! fericit!|christ risen! happy easter! Comentarii Hristos a inviat! Paste Fericit!|Christ is risen! Happy Easter!